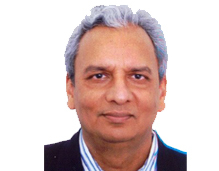 Jayant Prasad was Director General, Institute for Defence Studies and Analyses, New Delhi. He was India's Ambassador to Afghanistan, Algeria, Nepal, and the UN Conference on Disarmament, Geneva. At headquarters, in the Ministry of External Affairs, he served as Special Secretary (Public Diplomacy), and Head of the Americas and the Multilateral Economic Relations Divisions. He was Rapporteur of the U.N. Commission on Human Rights, Geneva (1986-87), Fellow at the Weatherhead Center for International Affairs, Harvard University (1998-99), member of U.N. Secretary-General’s Advisory Board on Disarmament Matters (2005-07), and Visiting Scholar, Center for the Advanced Study of India, University of Pennsylvania (2014-15). Before his 37-year public service career, he was lecturer in history, St. Stephen’s College, University of Delhi, after completing his studies at Modern School, St. Stephen’s College, and Jawaharlal Nehru University.